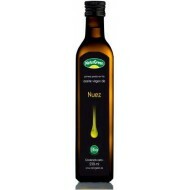 Buy Pumpkin Seed Organic Oil. This pumpkin seed oil is used in natural medicine their unsaturated fatty acids. Oil recommended for digestive problems, prostate and urinary. This organic oil contains many trace elements: vitamins K and E, phytosterols and minerals like zinc, iron, copper and magnesium. Buy Grape Seed Oil Organic . The Grape seed oil is also used in natural medicine for its unsaturated fatty acids and its high content of linoleic acid. 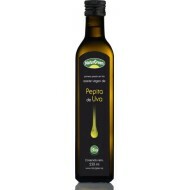 This organic oil has a very deep green color and a strong flavor, ideal for soaking meat and preparation of vinaigrettes. Buy Organic Oil Toasted Argan . 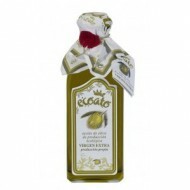 Roasted Argan oil is also used in herbal medicine to reduce cardiovascular risk factors, prevent cancer or diabetes. Roasted Argan Oil is used for marinating meats, salad dressings, fish dishes, pasta, etc... Provides a delicious nutty taste to the food. Buy Organic Soybean Oil. Soybean oil is beneficial for people with hypertension or high cholesterol, beneficial to our circulatory system, vision and parkinson prevention. Soybean oil is used for frying, sauces and dressings. Buy Organic Flax Oil. Flax oil is beneficial organic origin for the proper functioning of our body, thanks to its high content of phytoestrogens recommended during menopausia. Flax oil is also used in diets to increase muscle mass or provide minimum subsistence needs weight loss. Buy Organic Walnut Oil. Walnut oil is beneficial organic origin for the proper functioning of our body, contributing in turn taste something sweet, creamy and smooth to salads, pasta, fish, vegetables and seasonings in general. 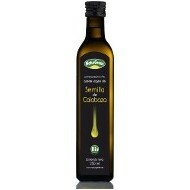 Oils gourmets for yours meals.